A tragic unexpected, unthinkable tragedy has happened. 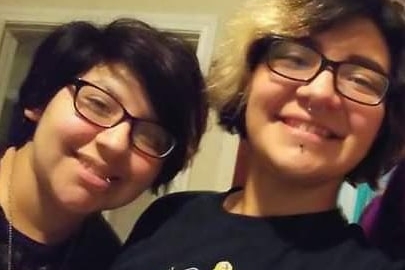 On Tuesday November 6 2018, Delma Pereida (age 19)and Cassandra Pereida (age 17) were brutally murdered by a loved one who then shot himself. Mary Pereida (age 52) was also shot by the gunman and now is in critical condition in the ICU. Mary Pereida, mother of 6, a one of a kind woman with a heart of gold and tough love to give to all. She Loves playing bingo with family and friends and never missed an opportunity to call an chat with her children she is truly a beautiful woman inside and out and needs your prayers to help her with a rough transition back to normal life. Delma Pereida, fun loving young lady with humor and a charm that never stopped. Never a dull moment around Delma with her wits kept you laughing the whole time around her. Delma was a avid animal lover with 4 birds, 2 rats and a dog. Delma's life was taken too early but her laugh will live on forever in the hearts and minds of family and friends. Cassandra Pereida, beautiful, smart young woman aka Cat by family and friends. Cat was just like a cat staying quite and by herself but just like a feline when she needed love she would let you know. A very talented and intelligent young lady always trying to create new art and ways to make money and very strong willed. Cassandra also was taken from us to early on that dreadful day but will live on through family and friends when ever art is created, when ever a young woman succeeds, when ever a child uses creativity. She will forever be missed. That horrific day will forever be will family but anything will help buried our loves and try to patch our family back together. We will stand strong, United as a family should be. Pray for our family and god bless. The whole family thanks each and every one of you from the bottom of their hearts for either donating or sharing. Mary Pereida finished all of her 7 surgery's and is now recovering from them and with more to come. She is a very strong woman and with the help from god himself she is determined to get thru these trials. Mary, the rock of this family and definitely has grown into a powerful mountain still showing and teaching the words of our lord, but with many more months for physical therapy and dealing with this tragic loss we are in need of help.